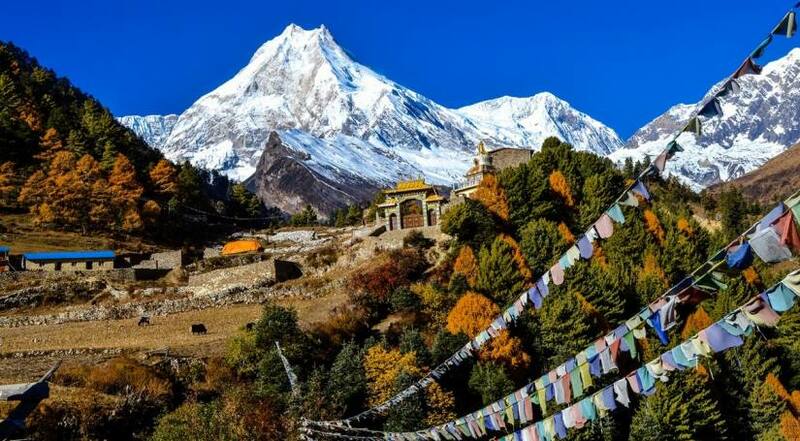 Manaslu circuit trekking consists of the charming mountain spectacle, captivating cultural and biological diversity in the beautiful Himalayas country. This package is best suited for travelers who are looking for the challenging but less treading trek in Nepal. Manaslu trek from Arughat after the drive from Kathmandu. 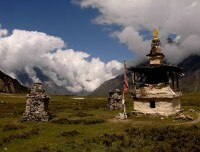 The trek is along the Nupri, an area trade route with the Tibet with Tibetan cultural influence. As we go higher, the Hindu culture is supplemented by Buddhist features of Mani walls, Khanyi gates and Chortens, as do the topography changes. This circuit is also a natural habitat for many elusive wild animals like the snow leopard, Himalayan Thar, grey wolf, blue sheep, must deer, which you may witness along the way. After the breakfast, drive to Arughat (570m) from Kathmandu, which will take approx. 6-7 hours via private vehicle or local bus. You will be travelling via the Prithvi Highway before Malekhu turn north, taking the single track road for Dhading Besi and beyond to Arughat. You will stay there at guesthouse overnight. After breakfast start trekking from Arughat. Your destination will be Soti Khola (730m), which will take approx. 5-6 hours. A well-defined path through verdant paddy fields climbs past Gurung villages. At Shanti Bazaar, you will have the first view of Shringi Himal. From here Budhi Gandaki will be your uphill companion. After crossing the suspension bridge of Soti Khola, then reach into the village which is famous for famed Honey Hunters. 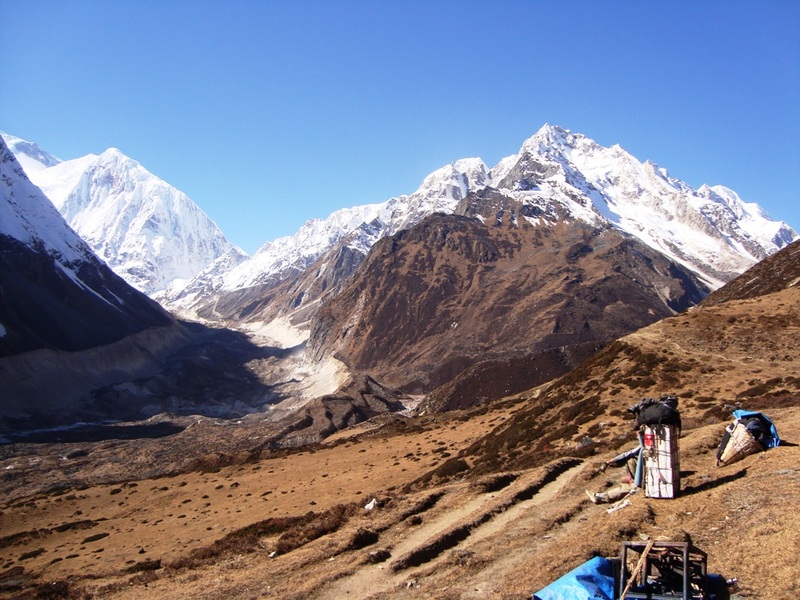 Start trekking in the morning and after crossing the bridge, the trek climbs up onto a ridge above the huge rapids of Budhi Gandaki and reaches to Khorsaani. Then, the trail, gets a bit precarious as it passes over a big rock and crosses a stream. The rocky trail then goes up and down through large stands of nettles, passes tropical waterfalls and again backs down to the bank of Budhi Gandaki. The trek goes up again on a steep rocky trail and down, then up around to the Gurung village of Labu Besi. From Labu Besi, move onwards and follow the trail gradually uphill to Jagat. Reach at Jagat via Doban. 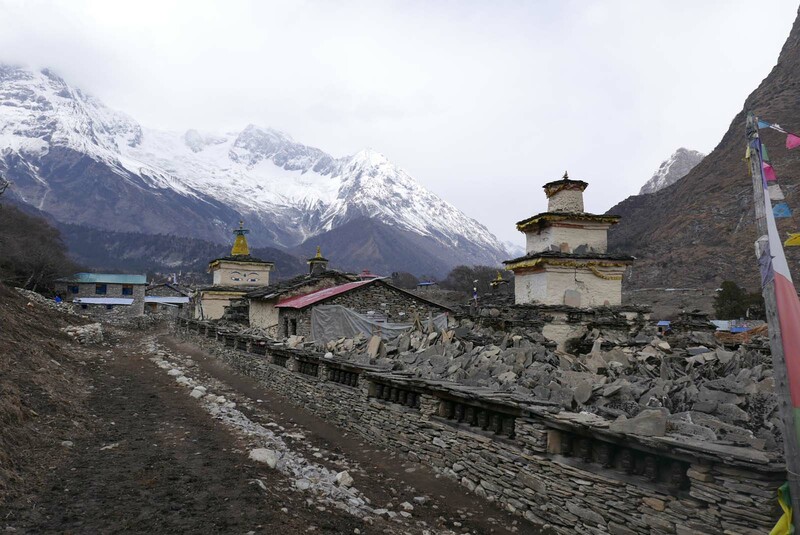 Trek to Ghata Khola by following the river bank and then cross to the eastern bank before ascending to Philim, one of the few large settlements on this route and home to the Manaslu Conservation Area Project office. From here you can view Mt. 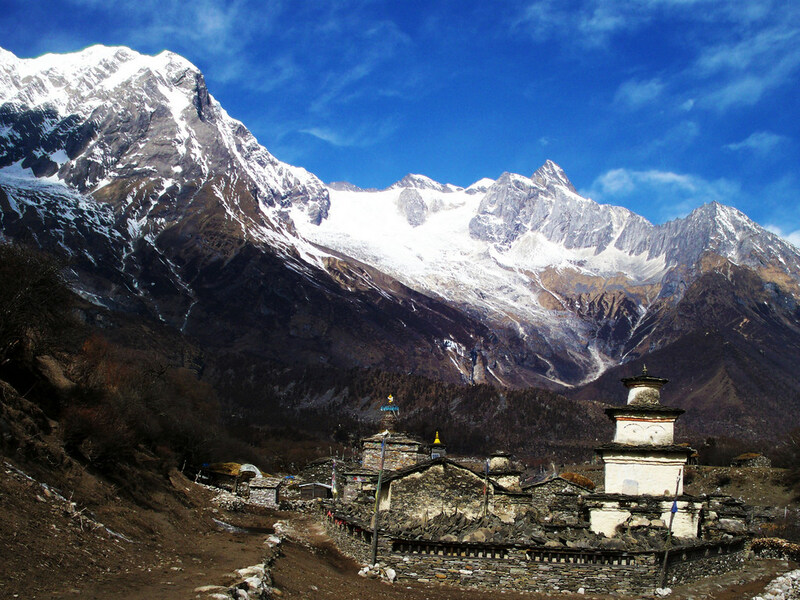 Lapuchun (5,950m). The trek takes through a heavily forested area in a narrow valley until reaching the little settlement of Dang. Then cross the Budhi Gandaki River where the valley opens and begin your ascent to Rana. The trail now takes high above the river, giving views of the Manaslu Massif before descending to Ghap. Trek from Ghap to Lho village (3020m). It is the distance of about 6 to 7 hours normal walk. Slowly and gradually gaining altitude and with the increase in altitude, enter into alpine territory and accordingly increasing mountain views. 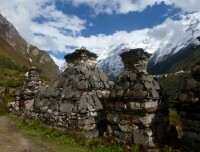 On the way to Manrung, find more number of Mani walls and three more crossing of the Budi Gandaki. Finally reach at Lho. You will be resuming the trek with a steep descent and a crossing of yet another rock-strewn torrent called Thusang Khola. 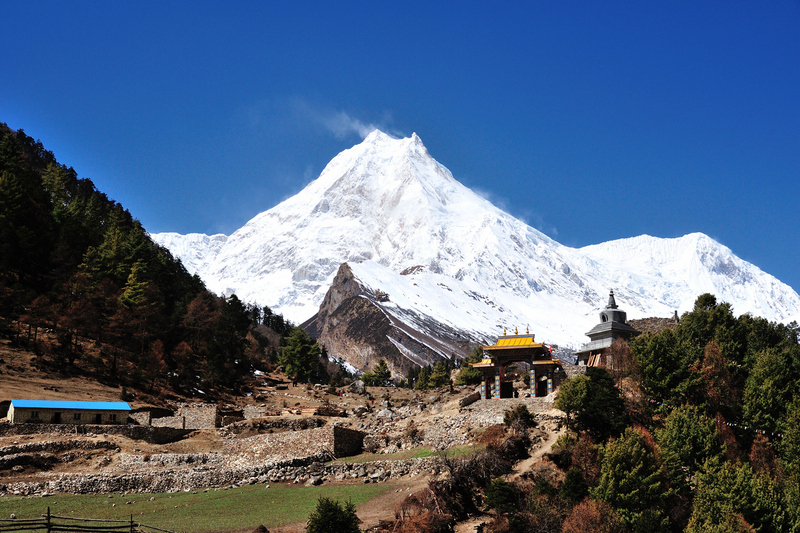 You will realize that Manaslu and Himalchuli dominate the entire landscape. Then on, across the glacier-fed Numla Khola, the valley drops away to a moraine follow the ancient trans-Himalayan trail now a just very few kilometers from Tibet. Then reach at Samagaon. Samagaon (3390m) is one of the classic Lama settlements in the region with monetary and mani walls and all things totally Tibetan. This day will be a rest and acclimatization day in Samagaon. You can have an optional hike to Punggyen Gompa or the day can be spent immersing oneself in the daily life of Sama Gompa. Cross Budhi Gandaki for a final time and pause at the old stone wall of mani inscriptions bidding for progress over the pass. The trail gradually rises through juniper and tundra with a viewpoint overlooking the Larkya La Glacier. Further climb bring to memorably Spartan Larkya Rest House. Reach to Dharmashala (4480m). 13 Days Acclimatization day at Dharmashala. Full-day acclimatization at Dharmashala.You can explore the surrounding areas of Dharmashala and stay here tonight. An early morning trek is needed so start at approx. 4 am to avoid gale force wind which usually gains in strength after mid-day at the pass. After a long gradual climb alongside a moraine, make a short descent to a glacial lake and reach the head of the moraine (4700m) which you cross to climb to the ridge top. Four frozen lakes lie below and then it is up to the crest of the Larkya La (5100m). 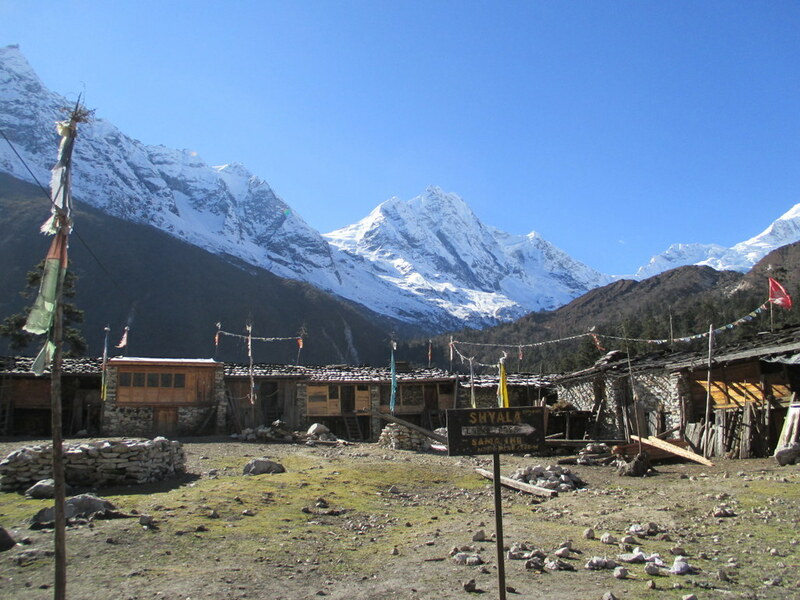 The reward for these difficult trekking conditions is brilliant westerly views of Himlung Himal, Kangurru and Annapurna II as well as the looming omnipresence of Manaslu. Well, the descent is hardly any easier; drop around 650m in less than an hour. Your trail then levels off onto yak pastures before finally reaching Bimtang (3590m), a collection of typical summer kharkas. Descend through meadows and through pine and rhododendron forest to reach Hampuk and then after dropping further following the course of the Dudh Khola arrive at Karche and then onto the village of Gho. Keeping the west bank of the river, the afternoon is one of the gradual descents to the Gurung Settlement of Tilije which has a certain notoriety for apply brandy. Trek goes along the Dudh Khola, a tributary of the Marsyangdi River, before arriving at the confluence in Dharapani. From here, continue on to Tal where the river appears as a lake. The trail runs gently downstream of the river passing the village of Syange. The trail downstream to Besisahar and pass through the picturesque villages, forests and mountain views. 20 Days Leisure day and farewell dinner in Kathmandu. Overnight at a hotel. You have the option to extend your trip to continue on to the Chitwan jungle safari, rafting adventure, Kathmandu valley shopping tour, scenic Everest flight, mountain biking and other activities. In the evening we will have a farewell dinner in a traditional Nepalese restaurant with cultural performances. (Your guide(s) and an office staff will accompany you. 21 Days Departure day: transfer to the international airport for your final departure!! Guided city tour in Kathmandu by private luxury tourist vehicle. 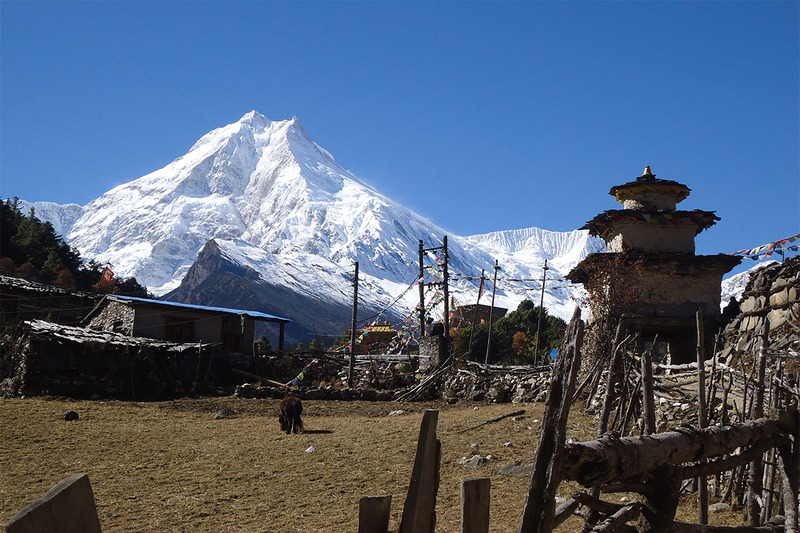 We had an amazing time doing manaslu circuit trekking. Our guide Nabaraj was very experienced and made sure we acclimatized well before the going for a high altitude. While others were resting at the guest house, he always made sure we had good rooms and always ordered our dinner early so we could eat earlier. He also made many adjustments to the schedule according to our pace and our request to jeep the dirt road on the way back. Our porter and guide were also very experienced and knowledgeable. He was also always in the kitchen helping with making meals for us, which I never saw other porters do. 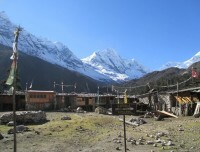 We will definitely trek with Luxury Holidays Nepal again when we come back to Nepal! 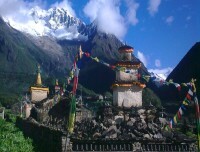 This is my second time in Nepal I had decided to do a Manaslu circuit trek. After arrival in Kathmandu international airport I had directly drive to Luxury Holidays Nepal’s office. I talked with Mr. Shishir and I told him my plan for 21 days Manaslu circuit trek. He introduced to my Guide Nabaraj and Porter Ramesh. It is rarely to experience such professionalism service. Everything was taken care of and they arranged a guide and porter that really made the trip very memorable. A trek like this is quite a challenge because of the steepness and the high altitude and therefore you should be well prepared physically to be able to enjoy it. 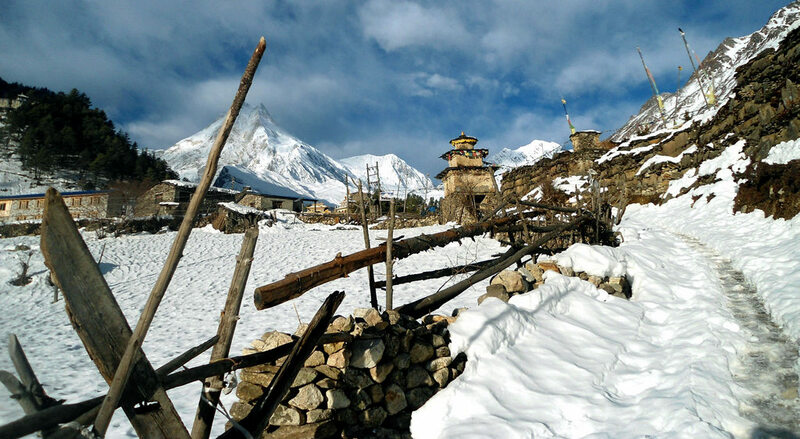 Manaslu circuit trek is amazing and to be at the top of the world with spectacular mountain views!! I loved this trek and look forward to do another trek someday soon. 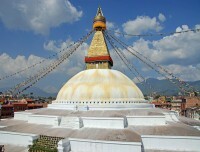 I’ll be extremely happy to use Luxury Holidays Nepal. 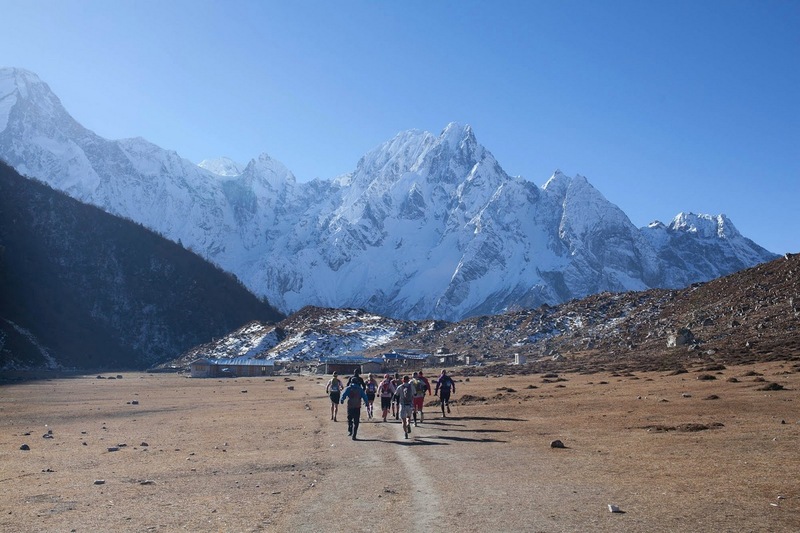 I together with my girlfriend just finished the 16 day Manaslu circuit trek organized via this company and I can highly recommend to do the same. 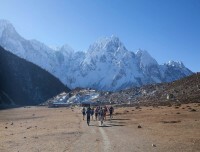 After having visited several travel agencies in Kathmandu, we had the best feeling about trekking partners. The people in the office are very welcoming and the information provided is very informative. After visiting the office we also received all information via e-mail from Shishir. Including itineraries and packing list. Best was our guide Navraj. He explained to us a lot about culture and nature during the trek. He even helped us to carry some luggage during the most difficult parts of the trek. Next trek we would definitely go again with trekking partners and Navraj! 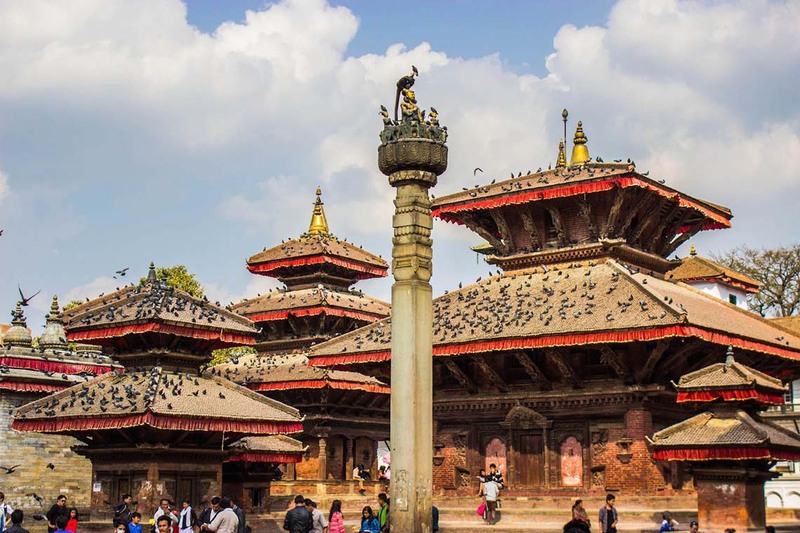 Luxury Holidays Nepal will offer you private luxury vehicle for airport transferal, sightseeing and Local bus Kathmandu-Arughat and Sybru Bensi-Kathmandu. If you like our service and you want to extend your trip, then we can further organize your trip to India, Bhutan and Tibet. 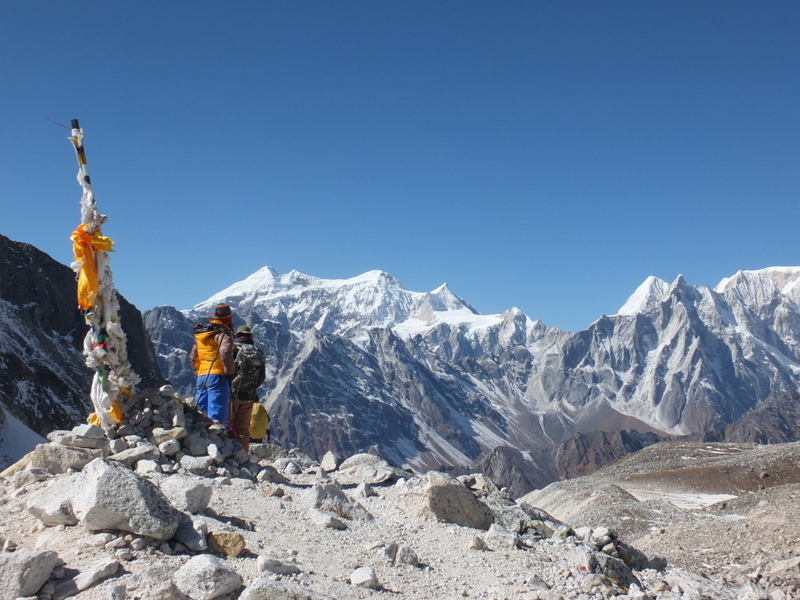 And other trekking and activities of Nepal like Everest Trek, Annapurna Trek, Langtang Trek, Bunjee Jumping, Rafting, Peak Climbing, Tours, etc.